We were deeply pained by the news of our dear colleague, Sue Johnson’s parting on the morning of 16 May. 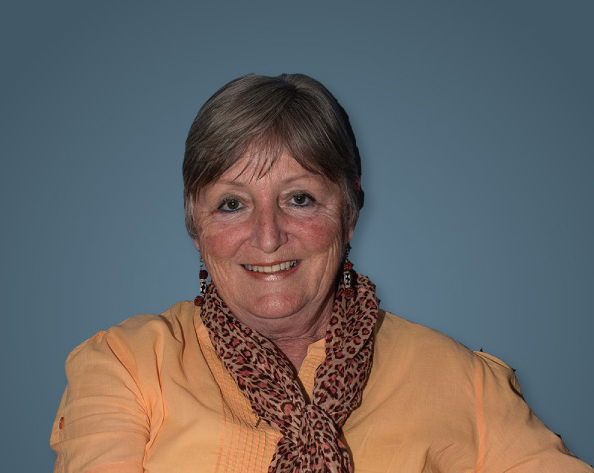 Sue selflessly served HFHSA in various management positions for 15 years – a major contributor to the strength of the brand within South Africa today. For almost a decade, she bravely fought the onslaught of cancer. Lea Schafer pays tribute to her life and the impact she had on all it touched. “On the very rare occasion we may have the privilege of meeting someone who leaves an imprint on our lives. Its an imprint not forced, but gently shaped through each and every encounter. Sue was one such person with this remarkable quality which makes missing her all the more poignant. There is a Sue-shaped vacuum in our hearts and in the world. When I met Sue I was struck by her gentleness and her uncanny ability to see potential and life where others would see only dry bones or death. Her gentleness was balanced by a toughness which allowed her to forge a successful career and gave her the courage to bravely fight her last battle which spanned ten years. What I remember most about Sue is her unwavering bright, positive and cheerful attitude as we were always greeted by a chirpy “Morning, morning” accompanied by a brighter smile each day. We never saw her angry, sad or defeated. Her passion for Habitat, loyalty to her team and wisdom with which she managed each of us were founded on her faith in Jesus. Many times she had a word in season when it was needed most. She was a pillar of strength, giver of hope to those around her and the best example I have seen of never allowing your circumstances to affect you. Come rain or shine, she was consistent in character. At times I even forgot she was in a fierce battle against cancer because she never showed it.